Police officers responded to calls of shots fired on Union Street near Schenectady Avenue at around 3:00am, and when arriving on scene they discovered a male victim lying on the ground in front of 1655 Union Street with a bullet wound in his torso. He was unconscious and unresponsive. EMS rushed the victim to Kings County Hospital where he was later pronounced dead. The victim was identified as 33-year-old Argenis Cabrera, who lived next door to where the shooting occurred. His family has been notified and there have been no arrests. Police have opened an investigation and it remains ongoing. 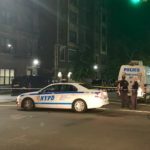 Earlier in the night another shooting took place on Kingston Avenue, between East New York and Lefferts Avenues, at around 12:45am. 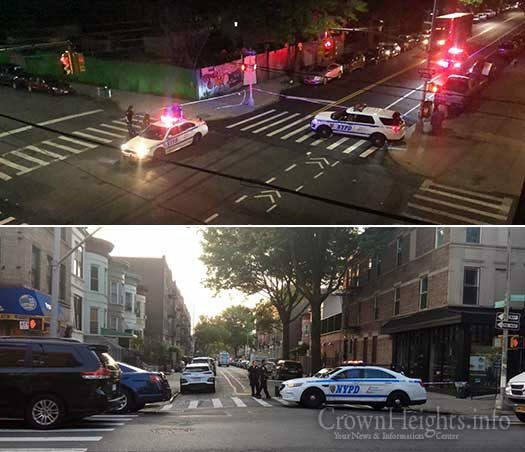 Witnesses said they observed a man running away from the scene and injured, while a woman was hysterically crying into a phone calling for help. A litter of bullet holes were later observed in a vehicle that was parked on the same street. Police refused to provide additional information regarding this shooting. Every bullet has an address. I assume in your comment, your first line reading, “Remind me again why people live in crown heights.” Should have a Question mark-? In place of a period. and the answer is….. because it’s the Rebbe’s sh’chuna. The Rebbe’s rotzon was we should Davila stay and be mechazek the sh’chune That’s basically where it starts and ends. You are not sure for your safety. The rebbe said stay here! The same way we are protected in eretz Yisroel we are protected here! I will reminded you.. because the REBBE wanted so !!! That was then. The times have changed rents are too high and it is harder for a working person who is erich to make ends meet.There will be plenty of rich people to stay. I guess the rents just went up. I’m sure the amazing landlords of CH will now justify rent increases, since the neighborhood just got safer. there are GANGS here in Crown Heights. Pressure should be put on the Police force to create special forces to deal with the gangs. This is going on way too long. Don’t tell me that nobody realizes that this is from Gangs, alot of it. 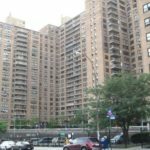 Just admit you don’t have the money to buy in Crown Heights, and stop making other excuses. was the perp caught yet??? Could not agree with you more. It’s way past its due date to have elections. I am sure that the Vaad Hakohol will help out if people were to demand elections now! What would elections do? 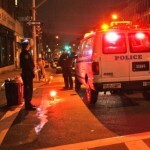 would the community council patrol the streets and arrest killers?. Just another way to blame someone else and to create a mahloikes.